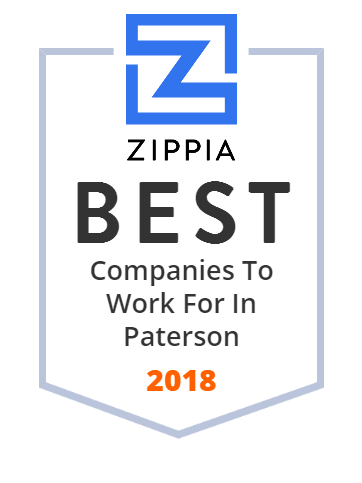 We hand-curated a list of the best companies to work for headquartered in and around Paterson, NJ using data on salaries, company financial health, and employee diversity. Each year, US News & World Report recognizes St. Joseph 's as a Best Hospital in the New York Metropolitan Area and among the Top Hospitals in the State of New Jersey. St. Joseph's University Medical Center is a four time recipient of the Magnet Award for Nursing Excellence and was awarded the prestigious Lantern Award. Feldman Brothers Electric Supply is a 4th generation family-owned business that started in 1922 in a small store front on Bridge Street. They now can offer an extensive inventory that features complete lines of high quality electrical products and fixtures from the world's leading manufacturers housed in their100,000 square foot warehouse. To deliver quality construction and engineering services to our customers with professionalism and integrity while providing opportunity to our co-workers, security for their families and sharing our resources to benefit others. The Paterson Public Schools is a comprehensive community public school district that serves students in pre-kindergarten through twelfth grade from Paterson, New Jersey, United States. Accurate Box Company is a third generation family business, currently celebrating our 74th year in business. Our workforce is comprised of highly skilled and seasoned craftsmen and women with multiple generations of employees. Our classification as a woman owned business (WBENC) is very important to many of our customers. Mivila Foods is the number one distributor of choice among chefs for quality groceries, industry competitive pricing, and reliable service. For nearly fifty years, we have been serving customers throughout the Tri-State area with thousands of wholesale brand name groceries, beverages and supplies. They are committed to exceeding our customers' expectations with every delivery. Liberty Elevator Corporation provides the service and elevator repair New York, New Jersey, and Pennsylvania building owners and property managers trust. As one of the top elevator companies in New Jersey, New York, and Pennsylvania, Liberty Elevator understands that their customers have unique needs and offers their clients the freedom to choose.